From our users we received a lot of feedback which we have used to improve our iTvSeries App. It is now possible to move the TvShows between the various lists. 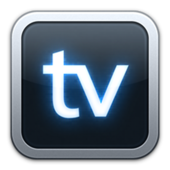 You can use these list to share your passion for TvShows and send an email with a list of your favorite TvShows. The watchlist is also changed. 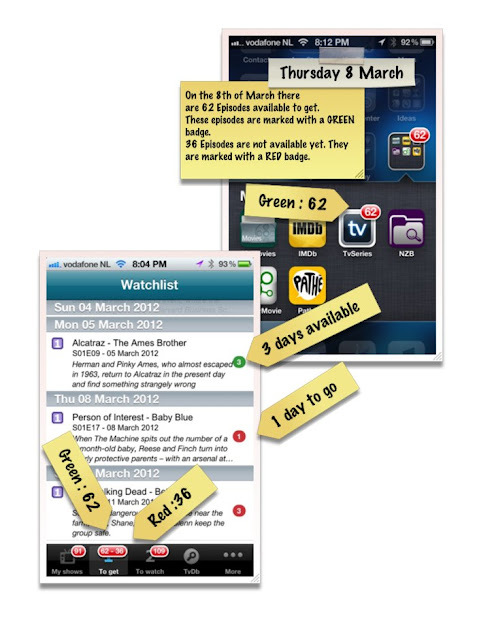 Episodes from the watchlist that have been aired are marked with a green badge. This badge is the number of days since the episode has been aired. The episodes that have not been aired yet are marked with a red badge with the number of days until the first broadcast. Updating the online TV database is now smarter. TvShows that are followed will automatically be added to your watchlist. iTvSeries … it’s a must have for fans of TV shows.